Due to the insolvency of its parent company Sputnik Engineering in 2014, owners of SolarMax inverters purchased before then will find that their warranties are no longer valid. 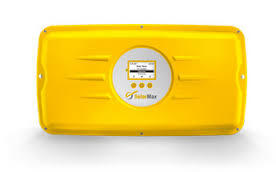 Whilst SolarMax are trading again and producing inverters, they do not honour warranties given prior to 2015 and instead offer end users the opportunity to purchase exchange inverters with a 12 month warranty. It is more cost effective to purchase a brand new replacement inverter. The Solis range are a good replacement as their connectors are the same, so it is simply a matter of mounting a different wall bracket for the new inverter. This means that the exchange can be completed by the DIYer in a matter of minutes. Click here to view our range of Solis inverters.